Crepeville, located near the UC Davis campus on 3rd Street, now holds the honor of UC Davis’ favorite breakfast place. 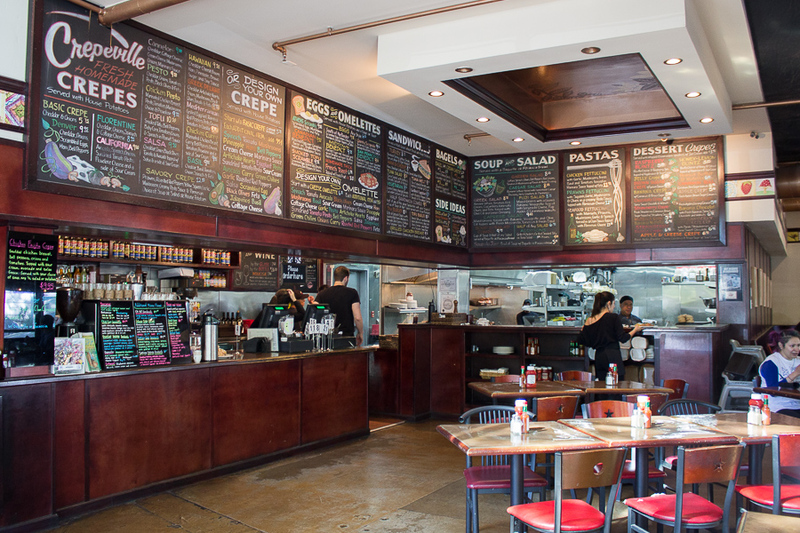 Crepeville’s success at its first location in San Francisco in 1990 “ignited a trend that spread quickly throughout the Bay Area,” as described on it website. In 2002, the family owners of Crepeville moved to Sacramento, founding the place we now know and love conveniently located downtown and very close to campus. They have been serving students and community members ever since. Junhyuk Kwon, a first-year managerial economics major, was satisfied with the establishment’s customer service and enjoyed his order of the eggs benedict with potatoes. Their menu has a wide assortment of crepes, from savory crepes with a side of house style potatoes to dessert crepes served with whipped cream. For their non-crepe-loving customers, the restaurant offers options such as eggs, omelettes, sandwiches, bagels, soups, salads and pastas, even providing coffee with free refills.